Once you've created an app workspace, there are two ways in which others can view it: directly, or by getting an app that you've published. The two ways are shown under separate headings below. I even made him (or was it her? I can never remember) an administrator. It's within touching distance ... ! 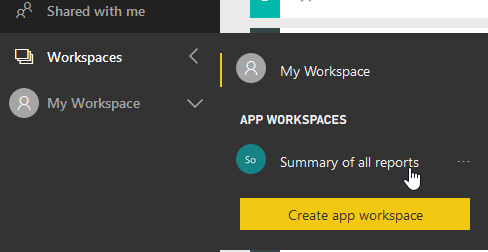 You need Power BI Pro to view an app workspace, sadly. 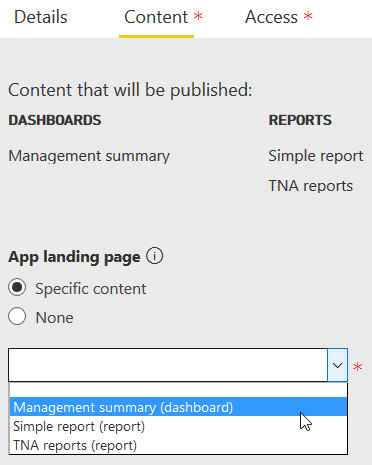 So you can create reports easily enough, but to share them you need to fork out for a Power BI Pro licence. The workspace includes 2 reports, 2 datasets and a dashboard. 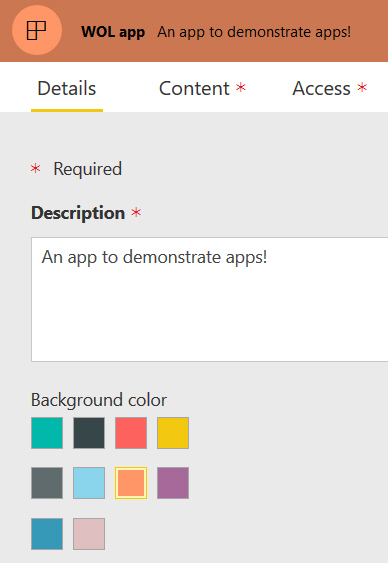 To publish an app, click on this icon at the top right of Power BI Service while editing it. I've decided that people should see the management summary first. You can choose individual people, or (as here) let anyone get your app. 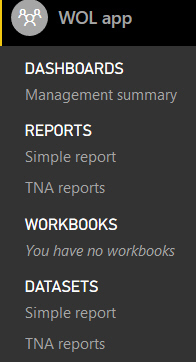 I like the little icons showing me that (in this case) I have 1 dashboard, 2 reports, no workbooks and 2 datasets! Surely this is the whole idea of publishing? 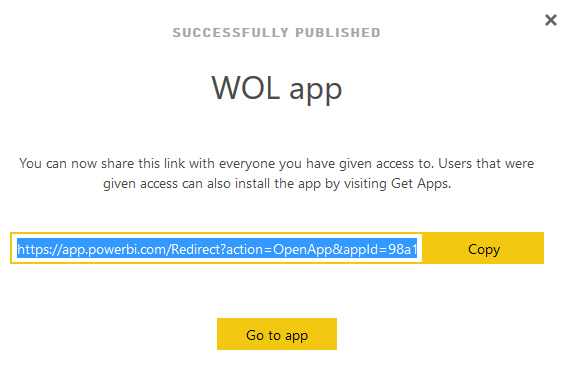 You can copy the app's URL and email it to someone, or they can get the app as shown below. Anyone in your organisation can choose to get your app like this. You'll need at least a trial version of Power BI Pro to continue! 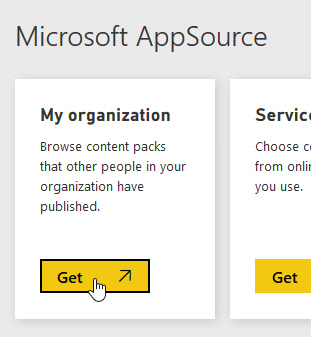 There's more about using apps to share reports and dashboards in my separate blog on sharing in Power BI Service.